Virgin Media Player is the new name for 3player! Watch your favourite shows from Virgin Media Television live or on demand. 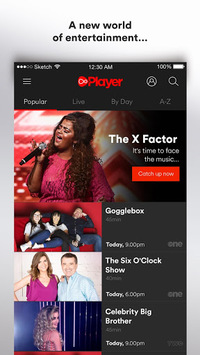 Watch the best entertainment, factual and reality shows from Virgin Media Television with the brand new Virgin Media Player app. Stream live television or catch up on all your favourite shows from Virgin Media One, Virgin Media Two, Virgin Media Three. 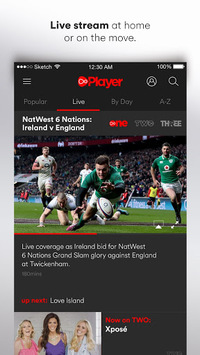 From Coronation Street and Emmerdale to the very best in home-produced content and a whole host of live sport – with the Virgin Media Player you can watch it all wherever you are. You can search for shows by name or by date and save them as a favourite so you pick up on a programme where you left off. Sign up for a Virgin Media Player account for free so you can get personal recommendations of what to watch next and download the episodes you want to save for later and watch offline. Registering is simple – you can use your Facebook and Google accounts or sign up with an email address. So what are you waiting for?! 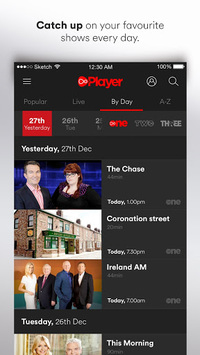 Download the new and improved Virgin Media Player app to open up a whole world of entertainment at your fingertips.